BANGALORE: Bahujan Samaj Party (BSP) president and Uttar Pradesh Chief Minister Mayawati on Sunday called upon the people of the State to enable the BSP to replicate the Uttar Pradesh model of social change and development here. With the State set to go for the Legislative Assembly elections in a few months, Ms. Mayawati, who was here on a two-day visit to welcome former Minister P.G.R. Sindhia and his followers to BSP, said the party was keen on implementing similar social welfare schemes in the State if it received support from people. Addressing a large convention of party workers, she said, if voted to power at the Centre, the BSP would provide reservation in private sector not only to Dalits, backward classes and minorities but also to the economically weaker among the upper castes. “There is a need to amend the Constitution to provide such a reservation. We will amend the Constitution if we come to power at the Centre,” she added. The 10 per cent reservation accorded in the private sector in Uttar Pradesh would be replicated across the country. There was also the need to extend these benefits to Dalits, who had converted to Christianity. Ms. Mayawati said the oppressed sections were losing their reservation rights in government jobs as the Congress, the BJP and other parties were on a spree of privatisation of government undertakings. The main aim of the BSP, she said, was to build a harmonious society, which would be free from caste frictions and also provide equal opportunities to all communities. But this dream could not be realised without convincing the upper castes to accept the BSP ideology, she said and asked the party workers to join hands with members of all the communities in the society. The BSP received a boost with the entry of Mr. P.G.R. Sindhia, who has served as MLA for about 35 years and as a Minister for 16 years. The arrival of lakhs of BSP supporters from across the State led to traffic snarls in many parts of the City, especially near the Palace Grounds. The City resonated with “Sunday Blues” as it came under a Maya spell. thousands of blue flags fluttered on the roads leading to the Palace Grounds, where the UP chief minister and BSP supremo Mayawati addressed a mammoth gathering on Sunday. To make her maiden visit to Karnataka after her triumph in the UP election a memorable event, the BSP painted the City with the BSP’s blue flags, buntings, hoardings, huge cut-outs and festoons in major pockets of the City. Around 25,000 party supporters had gathered at the Palace Grounds. The arrival of lakhs of BSP supporters from across the State led to traffic snarls in many parts of the City, especially near the Palace Grounds. Hundreds of vehicles ferried in the BSP activists from distant parts of Karnataka. The inflow of hundreds of vehicles and the BSP workers roaming on the City roads led to chaotic traffic. Cops had a tough time managing the teeming crowds. Although elaborate arrangements had been made to ensure smooth traffic flow, at the end of the function, all arrangements collapsed, when huge unmanageable crowds started emerging from the Palace Grounds in the evening. Everywhere, there were people flouting traffic norms. Mayawati used the rally to virtually launch the BSP’s election campaign in Karnataka where she hopes to do a UP. She said the BSP would strive to replicate its successful “political chemistry” achieved in UP in other parts of the country to ensure an equal footing to all sections of society. Hearty Welcome Bahen Kumari Mayawati Ji BSP National President and Chief Minister of Uttar Pradesh to Bangalore on 23-12-2007 at Bangalore Palace Ground at 11:00 A.M.
Bangalore: Uttar Pradesh Chief Minister Mayawati arrived here on Saturday on a two-day visit to the State. She will address a rally of the Bahujan Samaj Party (BSP) at the Palace Grounds on Sunday. Ms. Mayawati, who is the president of the BSP, came by a private aircraft from Lucknow. She was received by State BSP president B. Gopal, the former Minister P.G.R. Sindhia and office-bearers of the party. The BSP leader waved to the waiting crowd comprising party workers and sympathisers along with members of the uniformed Bahujan Volunteer Force and then proceeded to a nearby hotel. Photographers and television channels had to be content with taking pictures from a distance, and no reporter was allowed to go near the leader. However, the party’s media managers took reporters to the hotel from where they had to return without meeting the Chief Minister after an hour’s wait.Satishchandra Misra, MP, tried to convince the security personnel to allow the reporters to meet Ms. Mayawati. Looked tired, Ms. Mayawati came out of her room, posed for the photographers and went back inside. The security was so tight that Mr. Sindhia and Mr. Gopal had to wait outside. They were allowed to meet her after an hour. While Mr. Sindhia will join the party at Sunday’s rally, sources said that the former Deputy Chief Minister M.P. Prakash would meet Ms. Mayawati on Sunday. The BSP did not win a single seat in the 2004 assembly elections though it contested all the 224 seats, but it managed to eat into the vote share of the Congress in several constituencies. The BSP’s success in mobilizing huge financial and human resources for the rally has taken many by surprise as it does not have much of a presence in Karnataka, party’s state unit chief B. Gopal said. “Other parties will get a shock after Sunday’s rally. We have sold 10 million coupons for Rs.1 each to meet the expenses of the rally,” Gopal said. “We are spending Rs.2 million for the pandal, dais and other requirements for the rally at the Palace Grounds,” he added. The palace is about five kilometres form the city centre and is the political parties’ favoured venue for rallies. “Publicity expenses will come to around Rs.1 million and an equal amount will be spent on food for the party workers who have already started assembling in the city from various parts of the state,” Gopal said. The party expects more than 400,000 people to attend the rally. “From Bangalore city alone we expect 100,000 people and from Bangalore rural district and nearby districts such as Kolar another 100,000. From Mysore and other areas within 150 km from Bangalore, we expect 150,000 and from far away places in north Karnataka another 100,000,” Gopal said. Like in Uttar Pradesh, the party is wooing people from all caste groups in Karnataka. “Brahmana Samudaya (an organization of upper caste Brahmins) has made arrangements to serve food for several thousands of our workers and supporters,” he said. “We have already received 100 quintals of food grain, six quintals of vegetables as donation and expect another six quintals of vegetables to reach us by Saturday evening,” Gopal said. The party plans to field its nominees in all constituencies in the next polls expected in April/May 2008. Satish Chandra Mishra, who is credited with rallying Brahmin votes in Uttar Pradesh for Mayawati in the recent assembly election, will accompany her for the Bangalore rally, Gopal said. Bangalore, Dec. 21: Former minister, P.G.R. Sindhia will formally join the Bahujan Samaj Party on Sunday at a huge rally to be addressed by Uttar Pradesh chief minister, Ms Mayawati. Mr Sindhia told reporters on Friday that he was leaving the Janata parivar with a heavy heart but after a lot of thought. He was suspended from the Dal(S) by party president, H.D. Deve Gowda after he opposed Mr Kumaraswamy’s elevation as chief minister bypassing senior party leaders. Mr Sindhia asserted that he was not joining the BSP anticipating a big post or other benefits but because he felt it could become a major party in the south. Meanwhile, BSP leaders denied any plans of tying up with the Congress party for the forthcoming Assembly polls. State Congress chief, Mallikarjun Kharge had earlier hinted at an electoral understanding with the BSP saying it would help both parties. He said in Tumkur while on his way to Chitradurga to launch the party’s Janandolan programme, that since the two parties had the support of the poor, minorities and the dalits, it was better to have a tie-up. Mr Kharge had referred to Ms Mayawati’s support to the Congress-led UPA government at the Centre to buttress his argument that an electoral understanding was possible. It seems that the party high command had warned him terming the move as undesirable. There is also a view that BSP leaders might have objected to this. Soon after reaching Chitradurga, he was made to deny his statement on the tie-up. In Bangalore, local BSP leaders strongly criticised talk of a pact saying the Congress had done nothing for the poor and dalits in all the years in power. They did not seem too keen on allowing the Congress to benefit from the popularity of the BSP in Uttar Pradesh. Bangalore, Dec.22 (ANI): Uttar Pradesh Chief Minister and Bahujan Samaj Party chief Mayawati will address a mammoth convention of her party workers at the Palace Grounds here on Sunday. The convention, which commences at 11 a.m., will aim to strengthen the BSP’s base in Karnataka. BSP buntings and hoardings have been put up across the city in anticipation of Mayawati’s visit, which will take place amidst tight security. Bangalore Police have pulled out all stops to ensure elaborate security arrangements. State General Secretary Jigani Shankar was quoted as saying that the BSP would like to use Karnataka as its gateway to south India. The perceived change in the mood of Original Inhabitants of Jambudvipa that is the Great Prabuddha Bharath in many pockets, who may change the fortunes of the party if the Bahujan Samaj Party takes a big chunk of their votes, perhaps prompted the Congress leadership to decide not to disturb Mr. Kharge. BANGALORE: The former Minister P.G.R. Sindhia has said that he has joined the Bahujan Samaj Party (BSP) without aspiration for any position in the party and that he would desist from using the party’s platform for criticising the Janata Dal (Secular) leaders and the previous government. Addressing presspersons, Mr. Sindhia said he would formally join the BSP at a rally at the Palace Grounds here on Sunday which would be attended by Uttar Pradesh Chief Minister and BSP supremo Mayawati. About five lakh people from all districts are expected to participate in the rally, he said. The former Minister, who held various portfolios in several governments in the past, said the Janata Dal was a divided house and the party had faced many splits since the early 1990s. He would not utilise the BSP’s platform to criticise leaders of the Janata Dal (Secular) and the Congress. Since the Congress support base has been declining and the people dislike the BJP’s communal agenda, the BSP would emerge as a major political force in the coming days, Mr. Sindhia said. The former MLA from Kanakapura said after serving in the Janata Parivar for 35 years, he had decided to join the BSP to strengthen the voice of Dalits, backward classes and the poor belonging to upper castes. He accepted the BSP’s ideology and decided to work to strengthen the party as a loyal party worker under the leadership of Ms. Mayawati. “The Uttar Pradesh Chief Minister should become Prime Minister in the larger interest of the country,” Mr. Sindhia said. He said several leaders would join the BSP in the coming days. Though he had friends in the Congress, he was not interested to join that party for several reasons, Mr. Sindhia claimed. State BSP president B. Gopal said the party would not enter into an electoral tie-up with any party and would contest elections on its own. We, the true followers of the path shown by the Blessed, Noble, Awakened One heartily welcome your Honourable self to Bangalore on 23-12-2007. Your Honourable self have achieved the most glorious and historical distinction of becoming the first ever Original Inhabitant of Jambudvipa i.e. the Great Prabuddha Bharath lady to become the Chief Minister of any State in the Country. 1. P.C.S. officers have been asked to perform their duties in a better way for the benefit of the people of the state of providing them a crime free, injustice free, corruption free and a development centric environment. For achieving this target, the government by following the dictum of “Sarvajan Hitay - Sarvajan Sukhay” for the establishment of an egalitarian society has initiated a number of schemes and programmes. Your Honourable self said the role of P.C.S. officers in achieving this target is very important. The officers of the civil service constitute an important wing of the administrative machinery and they are in direct contact with the public. Therefore as responsible officers it should be their duty to provide justice to the common people, especially to the poor of the Sarvasamaj at the earliest so that they are not compelled to come to Lucknow for their tasks. Your Honourable self said that your Government has allowed the officers to act impartially, without succumbing to any pressure. A Civil Services Board has been constituted for issues related with transfers. Your Honourable self said that it is the duty of the officers to adopt a dignified and sympathetic approach towards all. They should be courteous to the public representatives. Complaints were being received from some places that even the genuine works of public representatives are at a standstill. Your Honourable self said that in future if complaints of such nature are received then they would be treated very seriously. Your Honourable self called upon the P.C.S. officers to discuss the ways and means to increase their utility in the society and how could they perform their duties and responsibilities in a better way. You said that during the past seven months the officers had performed their duties efficiently and had done generally well adding that though their performance still left a lot to be desired and they should improve it a lot. The President of the P.C.S. Association, Baba Hardev Singh, in his address, said that the P.C.S. officers function as a bridge between people and the Government. He said that the officers were in direct touch with the people and they performed their duties with responsibility and sensitivity towards the masses. He said that the P.C.S. officers sacrificed their lives to maintain the communal harmony. He assured that the officers of this cadre would make every effort to translate the spirit of “Sarvajan Hitay, Sarvajan Sukhay” into reality. He requested the C.M. to consider the various demands of the P.C.S. officers at the earliest. The General Secretary of the P.C.S. Association Mr. Shambhu Singh Yadav presented the annual report. Expressing his gratitude towards the C.M., he said that it was for the first time that 40 officers of the cadre were sent to foreign countries for training, so that their administrative acumen could be enhanced. The regular arrangement for this kind of training has also been made. He requested that the officers of this cadre should also be posted at the higher posts of the state services. The Chairman Science and Technical Council and Information Advisor Mr. Jamil Akhtar, Cabinet Secretary Mr. Shashank Shekhar Singh, Chief Secretary Mr. P.K. Mishra, Principal Secretary Appointment Mr. J.S. Deepak, besides, the senior office bearers of the P.C.S. Association and the officers posted in various districts were present on the occasion. 5. All families of Mushar community are being benefited with Government schemes and programmes. Lucknow : December 11, 2007 The Uttar Pradesh Chief Minister Km. Mayawati has ordered all the D.Ms of the State to en…………..
Lucknow : December 10, 2007 Complying with the directives of the Chief Minister Km. Mayawati, the District Magistrate of …………..
Lucknow : December 07, 2007 Uttar Pradesh Chief Minister, Km. Mayawati has praised the role of the Armed Forces in defenc…………..
Lucknow : December 07, 2007 The Uttar Pradesh Chief Minister Km. Mayawati has directed disciplinary action against 95…………..
Lucknow : December 06, 2007 Uttar Pradesh Chief Minister Km. Mayawati has directed for immediate disbursal of compensatio…………..
Lucknow : December 06, 2007 Uttar Pradesh Chief Minister Km. Mayawati on the occasion of the death anniversary of our Con…………..
Lucknow : December 06, 2007 While providing electricity, the Centre has always adopted a discriminatory attitude towards …………..
Lucknow : December 06, 2007 The Uttar Pradesh Government has prepared a drought minimization package of Rs. 7,016 crore…………..
Centre not serious for solving problems of footwear industry : C.M. Lucknow : December 04, 2007 The Uttar Pradesh Chief Minister, Km. 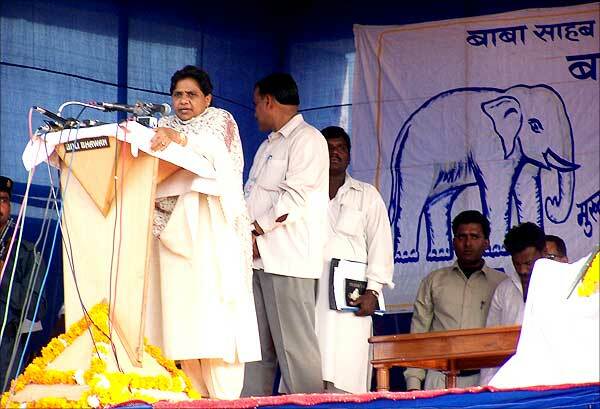 Mayawati, while talking to the media persons here today…………..
Lucknow : December 03, 2007 U.P. Chief Minister Km. Mayawati has announced that an additional provision of Rs. 2 crore …………..
Dr. Margaret Chan calls on C.M. Lucknow : December 03, 2007 The Director General of World Health Organisation (W.H.O.) Dr. Margaret Chan called on the Ut.…………. Lucknow : December 01, 2007 The Uttar Pradesh Chief Minister, Km. Mayawati yesterday had ordered immediate ban on the Ya…………..
Lucknow : December 01, 2007 Uttar Pradesh Chief Minister Km. Mayawati has decided to handover the Rs. 35 thousand crore …………..
Lucknow : November 30, 2007 On the directives of the U.P. Chief Minister Km. Mayawati, a high level meeting between the S…………..
Lucknow : November 30, 2007 Uttar Pradesh Chief Minister Km. Mayawati today dedicated as well as laid foundation stones …………..
Lucknow : November 29, 2007 The Uttar Pradesh Chief Minister, Km. Mayawati has said that the State Government was not aga…………..
Lucknow : November 29, 2007 The Uttar Pradesh Chief Minister Km. Mayawati has announced that to increase the number of hi…………..
Lucknow : November 28, 2007 U.P. Chief Minister Km. Mayawati said here today that after the November 23 serial bomb blast…………..
Lucknow : November 27, 2007 The Uttar Pradesh Chief Minister Km. Mayawati has announced that efforts would be made to ens…………..
Lucknow : November 27, 2007 The Uttar Pradesh Chief Minister Km. Mayawati, while reviewing the law and order and devel…………..
Lucknow : November 24, 2007 The Uttar Pradesh Chief Minister Km. Mayawati decided to visit the bomb explosion places at F…………..
Lucknow : November 22, 2007 The Uttar Pradesh Chief Minister Km. Mayawati has said that improvement in the electricity…………..
Lucknow: November 21, 2007 With a view to bridge the gap between demand and supply of electricity, a memorandum of unders…………..
Lucknow: November 20, 2007 With a view to bridge the gap between demand and supply of electricity, a memorandum of unders…………..
Lucknow : November 20, 2007 The Uttar Pradesh Chief Minister, Km. Mayawati while addressing the media on the occasion of …………..
Lucknow November 15, 2007 The Uttar Pradesh Government has issued directives to strictly follow the rules while initiat…………..
Lucknow : November 15, 2007 The Uttar Pradesh Government has decided to file SLP in the Supreme Court against the interim…………..
Lucknow : 15 November 2007 The Uttar Pradesh Chief Minister Km. Mayawati would be on a visit to Punjab and Jammu and Kash…………..
Lucknow : November 12, 2007 The Uttar Pradesh Chief Minister Km.Mayawati reviewed the progress of various development pro…………..
Lucknow : November 06, 2007 In the Faizabad’s dalit student Shashi kidnapping case, her father Shri. Yogendra Prasad s/o …………..
Lucknow : October 31, 2007 The U.P. 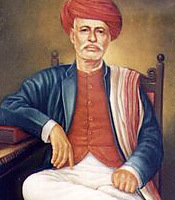 Chief Minister, Km. Mayawati today tabled the Uttar Pradesh Control of Organized Crim…………..
Lucknow: October31, 2007 The Uttar Pradesh Government has fixed the cane prices for the purchase of cane by sugar mills …………..
Lucknow : 29 October 2007 The U.P. Cabinet Secretary Mr. Shasank Shekhar Singh has strongly refuted the news item that app…………..
Lucknow : 29 October 2007 The Uttar Pradesh Chief Minister Km. Mayawati has expressed profound grief over the demise of…………..
Lucknow: October 26, 2007 The Uttar Pradesh Chief Minister Km. Mayawati has reacted very sharply over the new facts comin…………..
Lucknow: October 26, 2007 In a reaction on the demand of banning the “True Ramayan”, the book on Periyar by some political…………..
Lucknow : October 24, 2007 The U.P. Chief Minister Km. Mayawati has requested the Union Government to change the system of…………..
Lucknow : October 24, 2007 Taking stern action on the incident occurred in Moradabad district under Mid-Day-Meal scheme, …………..
Lucknow : 23 October 2007 The Uttar Pradesh Chief Secretary Mr. P.K. Mishra said that the IT Training Programme, whi…………..
Lucknow: October 21, 2007 U.P. Chief Minister Km. Mayawati paid homage to the martyr policemen in local police lines here …………..
Lucknow: October 20, 2007 The Uttar Pradesh Chief Minister Km. Mayawati has greeted the people of the state on the occasio…………..
Lucknow: October 20, 2007 With a view to making the memory of Manyawar Kanshiram’s struggle for Dalits and weak…………..
Lucknow: October 18, 2007 The principal Secretary to Chief Minister and Handicapped welfare department, Mr. Shailesh Kris…………..
Lucknow: October 17, 2007 In a brief expansion of State Cabinet,the Uttar Pradesh Governor, Mr.T.V. Rajeswar administered …………..
Lucknow : October 14, 2007 The U.P. Governor Mr. T.V. Rajeswar and Chief Minister Km. Mayawati arrived at the Aishbagh Id…………..
Lucknow : October 14, 2007 The U.P. Chief Minister Km. Mayawati has expressed profound grief over the unfortunate incide…………..
Lucknow : October 13, 2007 The Uttar Pradesh Chief Minister Km. Mayawati has extended her warm greetings to the people of …………..
World Bank Country Director Meets C.M. Lucknow : October 11 , 2007 On the request of the Uttar Pradesh Chief Minister, Km. Mayawati, the World Bank has accep…………..
Lucknow : October 08 , 2007 The Uttar Pradesh Government will inaugurate 12 ambitious schemes costing Rs. 3987 crore in …………..
Lucknow : October 07, 2007 The Uttar Pradesh Government has taken the decision to implement Manyawar Shri Kanshiram Ji Sh…………..
Lucknow: October 07, 2007 The Uttar Pradesh Government has decided to conduct a resurvey under the joint auspices of Depar…………..
Lucknow : October 4, 2007 The Uttar Pradesh Government has taken the decision for constituting a committee under the chai…………..
Lucknow : October 02, 2007 The Uttar Pradesh Governor Mr. T.V. Rajeswar and Chief Minister Km. Mayawati, while paying tri…………..
Lucknow : October 01, 2007 The Uttar Pradesh Chief Minister, Km. Mayawati would participate in various programmes to be h…………..
C.M. lays foundation, dedicates to the people and announces several development schemes worth Rs. 44,868.17 lakh f…………..
Lucknow : September 26, 2007 The Uttar Pradesh Government has issued necessary guidelines for the installation of 225 han…………..
New Delhi : September 25, 2007 A high-level meeting between the U.P. Chief Secretary, Mr. Prashant Kumar Mishra and Plan…………..
Lucknow : September 22, 2007 The Uttar Pradesh Government has decided for early disposal of cases pending before the Hon’………….. In a Cabinet meeting held here today under the Chairmanship of U.P. Chief Minister, Km. Mayawati several points were presente…………..
Vadodara (Gujarat) : September 15, 2007 The Uttar Pradesh Chief Minister Km. Mayawati, while reiterating her resolve of…………..
Lucknow : September 15, 2007 The Uttar Pradesh Chief Minister, Km. Mayawati here today constituted a six member committee…………..
September 13, 2007 The Uttar Pradesh Chief Minister Km. Mayawati, while reaffirming Government’s commitment in the poli…………..
Lucknow : September 10, 2007 The Uttar Pradesh Chief Minister, Km. Mayawati here today garlanded the statue of Bharat Ra…………..
Lucknow : September 09, 2007 The Uttar Pradesh Chief Minister, Km. Mayawati has directed all the officers related with th…………..
Lucknow : September 07, 2007 The Uttar Pradesh Chief Minister, Km. Mayawati has imposed ban on the elections of the stude…………..
Lucknow : September05, 2007 The Uttar Pradesh Chief Minister, Km. Mayawati has said that a 1000 km.-long ultra modern e…………..
Lucknow : September 03, 2007 The Uttar Pradesh Chief Minister, Km. Mayawati has greeted the people of the State on the o…………..
Lucknow. 01-Sept-2007 Hon’ble Chief Minister of Uttar Pradesh Kr. Mayawati has determined to utilize e-governance service…………..
Lucknow : August 31, 2007 The Uttar Pradesh Chief Minister, Km. Mayawati has expressed profound grief over the demise of …………..
Lucknow : August 27, 2007 The Uttar Pradesh Chief Minister, Km. Mayawati has greeted the people of the State on the occas…………..
Lucknow : August 27, 2007 The Uttar Pradesh Chief Minister, Km. Mayawati has expressed profound grief over the sudden de…………..
Lucknow : August 24, 2007 The U.P. Government has denied any change in maximum land limit for any family under U.P. Ceili…………..
Lucknow : August 23, 2007 The Uttar Pradesh Chief Minister, while giving the information regarding the important decisi…………..
Lucknow : August 22, 2007 Elaborating upon the policies, commitments and priorities of the State Government, the Uttar Pr…………..
Lucknow : August 21, 2007 The Uttar Pradesh Chief Minister, Km. Mayawati has directed to senior administrative and police…………..
C.M. reviews law and order situation of U.P. Lucknow : August 17, 2007 The Uttar Pradesh Chief Minister, Km. Mayawati, while reviewing the law and order of the State …………..
Lucknow : Augsut 15, 2007 The Uttar Pradesh Chief Minister, Km. Mayawati while unfurling the National Flag here today at …………..
Lucknow : August 14, 2007 The Uttar Pradesh Chief Minister, Km. Mayawati has greeted the people of the State on the 60th …………..
Doordarshan Kendra, Lucknow to telecast C.M.’s message tomorrow at 8:30 a.m.
Lucknow : August 14, 2007 The Uttar Pradesh Chief Minister, Km. Mayawati’s message to the people of the State will be tel…………..
Lucknow : August 13, 2007 The Uttar Pradesh Government has nominated Mr. Dayaram Pal as the Chairman of Management Commit…………..
Lucknow : August 11, 2007 The Uttar Pradesh Government has decided to implement present reservation system in allotment o…………..
Lucknow : August 11, 2007 The U.P. Government has directed all the District Magistrates to ensure effective distribution …………..
Lucknow : August 10, 2007 The Uttar Pradesh Chief Minister, Km. Mayawati has congratulated the UPA candidate Padamshri Ha…………..
Lucknow : August 10, 2007 The State Cabinet has decided to amend rule 41 of the Trade Tax rules of U.P. Trade Tax Act-194…………..
Lucknow : August 10, 2007 The U.P. Chief Minister Km. Mayawati while presiding over a cabinet meeting on Thursday last ac…………..
Lucknow : August 10, 2007 In a cabinet meeting held here on Thursday under the chairpersonship of the Uttar Pradesh Chief…………..
Lucknow : August 10, 2007 The Uttar Pradesh Chief Minister, Km. Mayawati approved the new High-tech Township Policy 2007 …………..
Lucknow : August 10, 2007 The Uttar Pradesh Chief Minister, Km. Mayawati has took a new initiative by providing voluntary …………..
PGI will be turned into the best institute of the country : C.M. Lucknow : August 09, 2007 The Uttar Pradesh Chief Minister, Km. Mayawati, while inaugurating the new Dialysis Ward at the…………..
Lucknow : August 09, 2007 The Uttar Pradesh Chief Minister, Km. Mayawati said that the new Agriculture Infrastructure a…………..
Lucknow : August 04, 2007 1. In the cabinet meeting presided over by U.P. Chief Minister Km. Mayawati, held on the Friday …………..
Lucknow : August 04, 2007 Many important decisions were taken in the cabinet meeting presided over by U.P. Chief Minister…………..
New Policy to effect widespread improvement in Agri Sector in U.P. August 03, 2007. Uttar Pradesh is the most backward from socio-economic point of view. A larger chunk of the State’s populat…………..
Lucknow : August 03, 2007 The Uttar Pradesh Chief Minister, Km. Mayawati here today announced the new and historic Agricul…………..
Lucknow : August 02, 2007 The U.P Chief Minister, Km. Mayawati today conducted the aerial survey of the flood-affected ar…………..
Lucknow : July 30, 2007 The Uttar Pradesh Chief Minister, Km. Mayawati would inaugurate the state-wide Plantation Drive at…………..
Dharmshala (Himanchal Pradesh) : July 26, 2007 The Uttar Pradesh Chief Minister, Km. 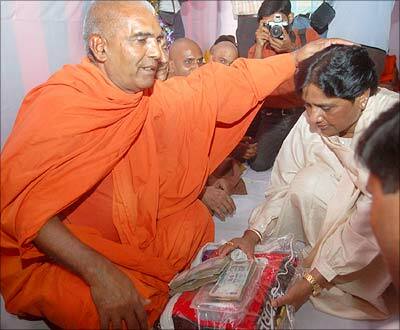 Mayawati paid her tributes to the Kar…………..
Lucknow : July 26, 2007 The Uttar Pradesh Chief Minister, Km. Mayawati disclosed that with the aim of increasing the reso…………..
New Delhi : July 25, 2007 The Uttar Pradesh Chief Minister, Km. Mayawati felicitated Smt. Pratibha Patil at Rastrapati Bha…………..
Lucknow : July 23, 2007 The Uttar Pradesh Chief Minister, Km. Mayawati has conveyed deep condolences to the family member…………..
Lucknow : July 22, 2007 The Uttar Pradesh Chief Minister, Km. Mayawati congratulated the members of S.T.F. team and polic…………..
Lucknow : July 22, 2007 The U.P. Chief Minister, Km. Mayawati has ordered that 23 percent police officers working on the p…………..
Lucknow : July 21, 2007 The Uttar Pradesh Chief Minister, Km. Mayawati has extended her heartiest congratulations to Smt. …………..
U.P. Government targets to achieve 10 per cent growth rate under 11th Five Year Plan, number of people residing below pov…………..
Lucknow : July 17, 2007 The Uttar Pradesh Chief Minister, Km. Mayawati has suspended the District Magistrate of Gorakhpur,…………..
Lucknow : July 16, 2007 The Uttar Pradesh Chief Minister, Km. Mayawati has directed the officers to launch special drive …………..
Union Minister of State for Home meets C.M. Lucknow : July 13, 2007 The Union Minister of State for Home, Shri Shriprakash Jaiswal met the U.P. Chief Minister, Ms. M…………..
Lucknow : July 12, 2007 The State Cabinet today decided to raise the minimum daily wages of the agriculture labourers to …………..
Lucknow : July 10, 2007 The intelligence agencies informed in a report on June 08 last that certain anti-social elements …………..
Lucknow : July 08, 2007 The Uttar Pradesh Chief Minister, Ms. Mayawati expressed her deep sorrow on the demise of former …………..
Lucknow : July 06, 2007 The Uttar Pradesh Chief Minister Ms. Mayawati said in the Vidhan Sabha today that considering the…………..
Lucknow : July 03, 2007 The Uttar Pradesh Chief Minister, Ms. Mayawati took the oath of Vidhan Parishad membership here to…………..
New Delhi : June 30, 2007 The U.P. Chief Minister, Ms. Mayawati has expressed her profound sorrow over the death of Saheb …………..
BUDGET 2007-2008 At A GLANCE (in crore rupees) Item Actual figures 2005-06 Budget estimates 2006-07 Revised estimate…………..
Lucknow : June 27, 2007 The U.P. Chief Minister, Ms. Mayawati said that she had promised to the people of the State when s…………..
Lucknow : June 25, 2007 The U.P. Chief Minister, Ms. Mayawati while inaugurating the training programme for the first time…………..
Lucknow : June 24, 2007 The U.P. Chief Minister, Ms. Mayawati today directed the concerned officers to speed up implement…………..
Lucknow : June 23, 2007 The chief Minister, Ms. Mayawati has decided to appoint 1972 batch I.A.S. officer, Mr. P.K. Mishra…………..
Lucknow : June 22, 2007 The Uttar Pradesh Chief Minister Ms. Mayawati, while elaborating on an important decision of the G…………..
Lucknow : June 21, 2007 It was a different scene altogether at the gates of Lal Bahadur Shastri Bhawan this morning when t…………..
Lucknow : June 20, 2007 The U.P. Chief Minister, Ms. Mayawati has said that it should be ensured that no discrepancy took…………..
Lucknow : June 20, 2007 The U.P. Chief Minister, Ms. Mayawati signed here today the resolution in support of Ms. Pratibha …………..
Lucknow : June 17, 2007 The Uttar Pradesh Chief Minister, Ms. Mayawati has increased the monthly pension of the 1984 riot…………..
Lucknow : June 16, 2007 The U.P. Chief Minister, Ms. Mayawati has ordered for preparation of results afresh after evaluat…………..
Lucknow : June 16, 2007 The U.P Chief Minister Ms. Mayawati said here today that official publications played an important…………..
Lucknow : June 13, 2007 The Uttar Pradesh Chief Minister, Ms. Mayawati has expressed her grief over the demise of Ram Cha…………..
Lucknow : June 08, 2007 The Uttar Pradesh Chief Minister Ms. Mayawati has denied reports, which appeared in a section of t…………..
Lucknow : June 08, 2007 The Uttar Pradesh Chief Minister, Ms. Mayawati has expressed her grief over the death of some per…………..
Lucknow : June 07, 2007 Senior BJP leader, Ex Central Minister and famous Film Actor Shatrughan Sinha met the U.P Chief M…………..
Lucknow : June 06, 2007 The U.P. Government has allotted to 19 state level officers the districts and fixed dates for ins…………..
Lucknow : June01, 2007 The Uttar Pradesh Chief Minister, Ms. Mayawati has expressed profound grief over the demise of form…………..
Lucknow : June01, 2007 The Uttar Pradesh Chief Minister, Ms. Mayawati has expressed her profound grief over the demise of …………..
People of Gurjar and Meena community should avoid collision course and maintain peace : C.M. Lucknow : June 01, 2007 The B.S.P. National President and Uttar Pradesh Chief Minister, Ms. Mayawati, while expressing h…………..
Lucknow : May 31, 2007 The Uttar Pradesh Government has directed all the secretaries, heads of the departments (H.O.D.s) …………..
Lucknow : May 30, 2007 Taking a serious view of the land grabbing incident in Phoolpur, Azamgarh district in which the in…………..
Lucknow ; May 29, 2007 Two staff members of the Basti Regional Food Department have been suspended and action against anot…………..
Lucknow : May 29, 2007 Top priority would be accorded to agriculture diversification, processing and distribution during t…………..
New Delhi : May 27, 2007 The Uttar Pradesh Chief Minister, Ms. Mayawati today met the Chief Election Commissioner Mr. N. …………..
Lucknow : May 27, 2007 The Uttar Pradesh Chief Minister, Ms. Mayawati has sanctioned financial relief of Rs. one lakh to …………..
New Delhi : May 26, 2007 The Uttar Pradesh Chief Minister, Ms. Mayawati during her stay in Delhi here today met the Prime …………..
Lucknow : May 26, 2007 The Uttar Pradesh Chief Minister Ms. Mayawati has expressed profound grief over the demise of the …………..
New Delhi : May 25, 2007 The Uttar Pradesh Chief Minister, Ms. Mayawati said that her Government would make all possible …………..
Lucknow : May 21, 2007 The Uttar Pradesh Governor, Mr. T.V. Rajeswar, while addressing the joint session of the Legislatur…………..
Lucknow : May 17, 2007 The Uttar Pradesh Chief Minister, Ms. Mayawati, showing her commitment towards the weaker sections…………..
Lucknow : May 17, 2007 The Uttar Pradesh Chief Minister, Ms. Mayawati has initiated a move to resolve the dispute between…………..
Lucknow : May 16, 2007 An all party meeting was held under the chairmanship of the Uttar Pradesh Chief Minister, Ms. Maya…………..
Lucknow : May 16, 2007 The Uttar Pradesh Chief Minister, Ms. Mayawati has assured the family members of the victims of th…………..
Lucknow : May 16, 2007 The Uttar Pradesh Chief Minister Ms. Mayawati while expressing serious concern over the incidents …………..
Lucknow : May 16, 2007 The Uttar Pradesh Chief Minister, Ms. Mayawati has initiated a move to resolve the dispute betwe…………..
Lucknow : May 16, 2007 The Uttar Pradesh Chief Minister Ms. Mayawati while expressing profound grief has announced Rs. On…………..
Those showing carelessness will be punished : C.M. Lucknow : May 16, 2007 The Uttar Pradesh Chief Minister, Ms. Mayawati has expressed concern over the poor condition of sa…………..
Lucknow : May 14, 2007 The Uttar Pradesh Chief Minister, Ms. Mayawati has taken some important decisions to root out trans…………..
LUCKNOW: MAY 13, 2007 The Uttar Pradesh Chief Minister, Ms. Mayawati has said that the memorials set up in the memory of ………….. Above is the last sermon Buddha preached in 543 BC when he arrived at Kushinagar. Three months earlier at Vaishali (Bihar) on the day of ‘Magh Purnima’, he declared his death & destined to exhale the last breath at Kushinagar. The cremation was done at ‘Mukut Bandhan’ (Rambhar) where ‘Mallas` constructed a big stupa over the ashes. Later, Ashoka, the Great, renovated it. The Chineese travelers Fa Hien & Hieun Tsang have mentioned “Kushinara” in their Travel Memo. Kushinara continued to be living-city till the 12th century A.D. & was thereafter lost into oblivion. After extensive excavations main stupa was exposed in 1876 AD. In addition a 6.10 m long statue of reclining Buddha was discovered. Ven. Chandra Swami a Burmeese Monk, came to India in 1903 and made Mahaparinivana Temple into a living shrine. HYDERABAD: The Archaeological Survey of India (ASI), during excavations at Sannithi near Gulbarga, stumbled upon a 5-foot high statue of Emperor Ashoka made out of soft stone in grey colour. At the foot of the statue, Ashoka’s name was found inscribed as “Raya Ashoka” in Brahmi script in Prakrut. According to D. Jithedra Das, Superintending Archaeologist, Hyderabad Circle, the statue is the only source available anywhere in the world to give an idea of how Ashoka looked like. Images of Ashoka are claimed to have been found at Sanchi and Sarnath, but they are one or two inches in size on frescos depicted as part of Jataka and Buddha stories on the structures of Stupas. The Archaeological Survey of India has been undertaking excavations at Sannithi for over 10 years now. A Buddhist stupa was found buried deep here. The Ashoka statue unearthed was found in two pieces. They have since been cemented and preserved. 3. Human Resources Sector and again for convergence of Information Technology, Bio Technology and Nano Technology. We request your Honourable self to allot sufficient land for the above purpose and enough funds for the people all over the world to take refuge in the Triple Gem and establish a grand SARVAJN SAMAJ PRERNA KENDRA to glorify our great Social Struggles and loft principles of Equality, Liberty, Fraternity and Justice and to end the thousands of years old discrimination and to establish a Humanistic Society and make them a permanent source of Inspiration for the Sarva Samaj. We are sure and confident that large number of true followers of the practice of the Blessed, Noble, Awakened One will support the above projects for the achievement of their Ultimate Bliss . Memorandum to Honourable Chief Minister of Uttar Pradesh on her visit to Bangalore on 23-12-2007 to eastablish SARVAJAN SAMAJ PRERNA KENDRA at KUSHINARA-For The Gain of the Many and For the Welfare of the Many-Rs. 65,000 crore investment proposed in power generation sector : CM -P.C.S. officers should perform their duties in a better way : C.M. -Eighteen Developers short listed for Ganga Express-way Project -Strict warning to Chief Medical Superintendent of Saharanpur district hospital -2,66,605 MT of paddy purchased in the state -All families of Mushar community are being benefited with Government schemes and programmes. -C.M. writes letter to P.M. and Railway Minister -Children adopted after registering the adoption -Chiel Minister’s directive for early verification of the claims of the affected Sikh families -C.M. contributes for the Armed Forces Flag Day Fund -Next review on the basis of spot verification : Mayawati -Govt. of our party is committed to providing justice every sections of society : CM -C.M. calls for following the path shown by Baba Saheb -Centre has allotted least-electricity to Uttar Pradesh -Govt. demands Rs. 7016 crore package from GOI -Belt bombers plan to target Maya-Mayawati stays away from meet-Vrindavan widow crack at Bengal -Decision on cane price in Uttar Pradesh in new year-UP CM Mayawati seeks Rs 80,000 cr financial package-Analysis: India fights ultras differently-6 more succumb to cold wave -Gujarat Election 2007 -Manyawar Kanshi ram Ji had advised the caders to become their own media to counter the following biased media in order to tell the people the real happenings in the country.-Bahujan Samaj Party (BSP) nominee Vinay Shankar Tewari filed his nomination papers for the by-election to the Ballia Lok Sabha constituency scheduled to be held on December 29. Tewari, son of former Uttar Pradesh Minister Hari Shankar Tewari, joined BSP recently.